On a personal note, my debit card was compromised (boo), but the bank caught it right away and locked my account before anything could be stolen (yay). I drove over there to get that mess straightened out and I saw a new bubble tea shop had opened right next door! (Double yay!) Once my accounts were back in order, I treated myself to some tea. On the front door of the tea shop there was a poster for a limited edition Halloween-themed Pumpkin Oolong Milk Tea, and you guys know how I feel about all things SPOOKY. Since it's already November I was afraid I might have missed out on this flavor, so I asked the employee at the front counter if they still had it, and they did! Once done, the cup was sealed with a sticker-seal-lid and they handed it to me with two black straws. 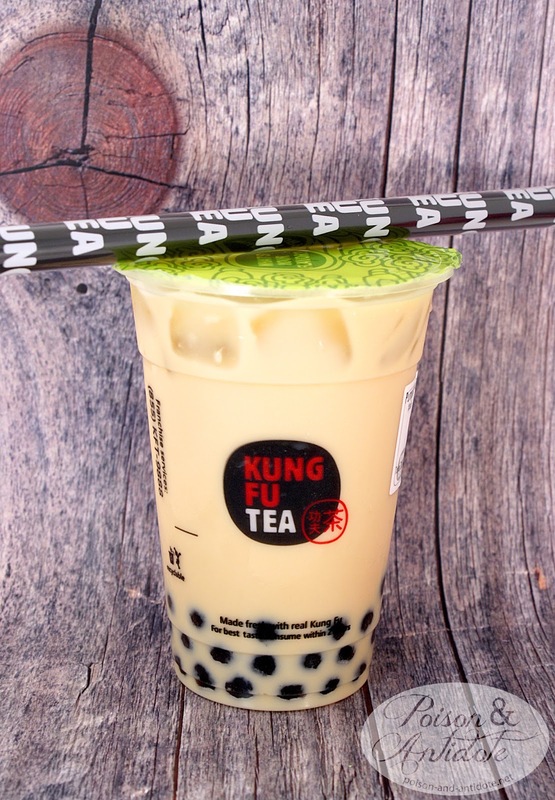 Boba straws are usually bright colors, clear, or translucent, so you can watch the bubbles fly up the straw as you sip, but these were completely opaque. My inner-goth loved the dark color, but later, when I was sipping in my tea, it made it harder for me to predict when or how many bubbles were coming up my straw. 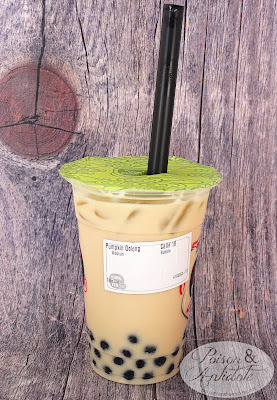 If you're an experienced boba drinker you can feel the slight change in sipping pressure, so you have a decent idea of when they're coming (eww), but for people who might be new to this whole experience, it might make this sipping experience slightly more hazardous. So, how did it taste? Really freaking good actually! The tea is light, and milk-heavy (obviously) with a touch of warm fall spices. 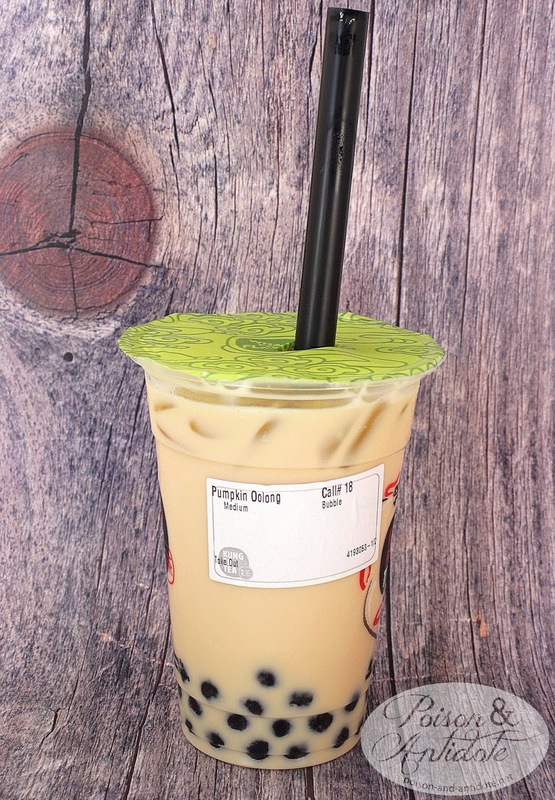 The sipping experience was similar to an iced chai latte, but since these use non-dairy milk it's a lot lighter, less sweet, and you have the added experience of sipping and chewing honey-infused boba pearls. I love it! The tea's flavoring reminded me of the Sweet Pumpkin tea I reviewed a few years ago, with it's pleasant and nicely balanced fall spice blend, so even iced, this drink has a soothing fall-friendly flavor profile that's perfect for sweater weather. If you have a Kung Fu Tea shop indoor area, I highly recommend giving this a try!